If you were a poor Ugandan mother with a desperately ill baby, would you turn to Western medicine or the village healer? is a journalist and a 2013 Alicia Patterson Foundation fellow. His writing has appeared in Scientific American, Slate and The New York Times. It was late February when I heard the story of a young seamstress whose baby girl had died from an unknown illness. The mother, Evelyn Bonabone, lived with her grandmother about an hour outside Mbarara, a compact, hectic city in western Uganda with a medical school and one of the country’s better hospitals – although that’s not saying much. 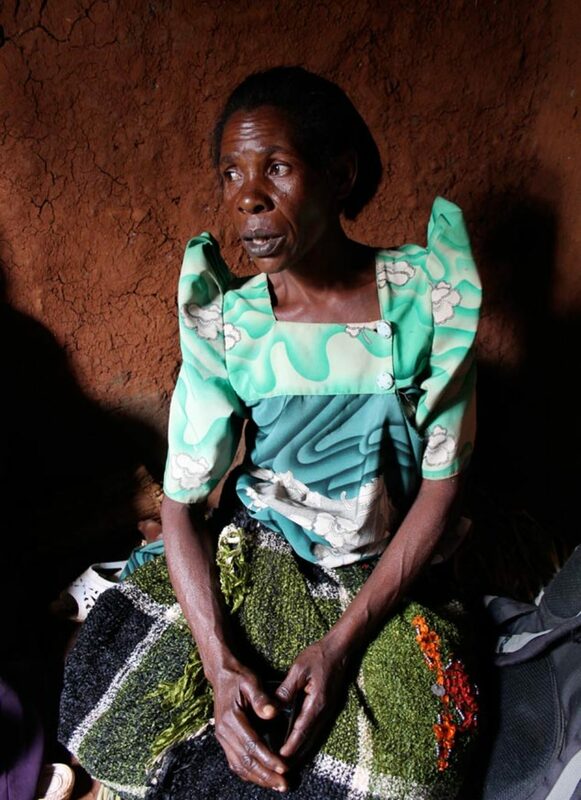 Rather than visit this hospital with her child for treatment, Evelyn had been to a traditional healer named Nahayo, an old widow across the valley. Early one morning, I joined a health worker and we drove out of the city, beyond the trading post where the men ride in from the hills with improbably large bunches of bananas strapped to their rusty bicycles. We turned into the countryside and passed a soccer pitch, a health centre, and endless plantations of bananas. Our battered vehicle creaked and groaned as we began our ascent. Eventually, we pulled into a smaller track, carved into a loamy ledge overlooking an isolated valley, and stopped in front of a single-story home on the hillside. A couple of shirtless men were chopping down what appeared to be the very last tree on the property. Evelyn emerged in a worn tank top, her hair tucked under a vibrant head wrap, and a silver cross dangling from green beads around her neck. She brought us inside the living room, where a few plastic chairs were arranged against the walls. In one corner sat an immaculate old black Singer sewing machine and a battery-powered radio. Evelyn told us that she had been shattered by the death of her baby. She quit sewing and working in the fields, and slept for a week straight, wrapped in a sheet on the concrete floor of her bedroom. Her eyes grew watery as she thought back to her daughter’s birth one year earlier, helped by her mother’s mother. After a trip to Mbarara on the back of a motorcycle, the baby girl had trouble breathing and was crying excessively. The old women in her village gave her herbs to rub on the baby’s gums. After three days, they told her the baby might have ‘false teeth’: if these were not removed, a maggot could emerge and the baby would die. If the child had this disease, they informed her, it should not be taken to the hospital. They insisted that she visit the tooth extractor, Nahayo. She felt she had no choice but to obey. Evelyn’s story jibed with what I’d read about the supposed causes of Ebiino or ‘false-tooth disease’. It is believed to occur from an allergy, or a maggot inside the gum, or a meal of infected maize. A pregnant woman passing a false tooth discarded on the street can supposedly transfer it to her child. Some tooth extractors are said to cause the disease themselves by bewitching pregnant mothers. It’s easy money. If the causes of false-tooth disease seem dubious, its symptoms are all too familiar to anyone who has cared for an infant: vomiting, diarrhoea, failure to breastfeed, and swelling of the gums. Nahayo exposes a baby’s gums. Given Uganda’s abominable rate of infant mortality (54 deaths per 1,000 births, according to the Uganda Demographic Health Survey of 2011, compared with six per 1,000 in the US), it’s no wonder that the women here have little trust in Western medicine. The paediatric ward of the Mbarara hospital is a foreign place to them. It is understaffed, disorganised, and reeks of urine. Government healthcare is supposedly free, but you hear stories of patients being extorted. They must also provide their own food, and food in the city is expensive. Most importantly, even the best-trained doctors do not — or cannot — provide the familial comforts a woman such as Evelyn can find among her own people, in her own village. On that morning, Evelyn wrapped the sick baby in fabric and slung her from her back in the traditional style. She followed a trail to the town of Kinkoma, where the tooth extractor’s crumbling mud-brick, straw-roofed house sits on a steep slope. Nahayo took the baby in her arms, pressed open the mouth with her thumb and forefinger, and plunged a sharpened bicycle spoke into the gums. There was some blood. Not much. When Nahayo finished, she handed the mother two tiny white pearls, the buds of the infant’s incisors, which she was instructed to hide under a rock. Evelyn paid her 4,000 shillings, or about $US1.50. Afterwards, the infant refused to breastfeed, and Nahayo referred her to a herbalist in another town. By the time Evelyn arrived there, her baby seemed limp and unresponsive. The herbalist told her to make haste to the hospital, so Evelyn ran home to gather her things. On her way, her aunt pulled her aside and took the quiet infant in her arms. She told Evelyn that the child was dead. I have no idea what actually killed Evelyn’s daughter, nor do the health workers who have reviewed her case. The baby could have had anything from tuberculosis to the flu, or a genetic disease. It’s possible that the doctors at the Mbarara hospital could have saved the child’s life, or maybe not. The only thing that seems certain is that the tooth extraction didn’t help. I asked Evelyn what she would do if her next child becomes as ill as this one. She assured me that she will go to the hospital first, but if the symptoms persist, she said, she will return to Nahayo. ‘I have no answer,’ she said. 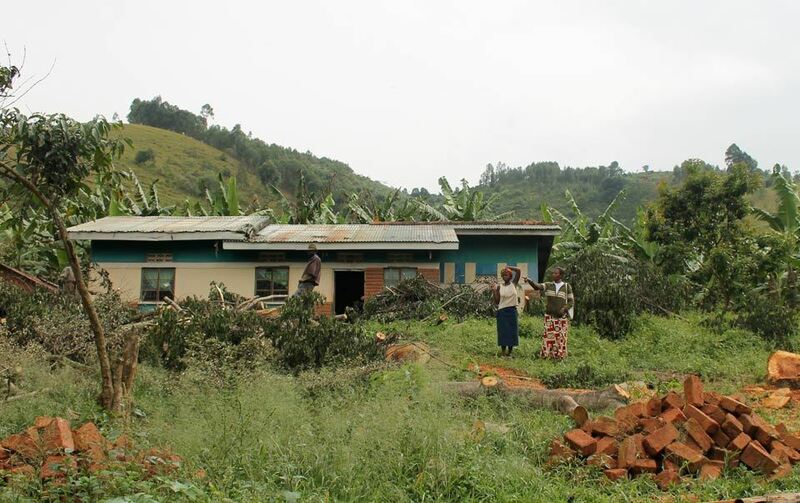 Evelyn Bonabone’s home in rural Uganda. For the past several months, I’ve been researching traditional medicine around the world to understand the role it plays in global health. In some African countries up to 80 per cent of people consider traditional healers their primary caregiver, and the numbers are nearly as high in other parts of the developing world. It is fair to say that traditional knowledge, including the setting of broken bones and the cultivation of medicinal herbs, can be impressive. For instance, the people of Oman on the Arabian Peninsula have a strikingly simple and effective way of preventing blindness from the trachoma parasite: they stick their eyelashes away from their eyelids. And what, after all, is male circumcision but a traditional Egyptian practice that has become part of the medical mainstream in many Western communities? Yet ‘false tooth’ disease is something else: a strange and dangerous new hybrid of traditional practice and half-understood Western biomedical treatment. For the rest of my trip to Uganda, I puzzled over my meeting with Evelyn. When I returned to New York, I went to the library where I read Pagan Tribes of the Nilotic Sudan (1932) by Charles Seligman, the British physician-turned-anthropologist, and his wife Brenda, who first ventured up the Nile in 1909. On their travels, the Seligmans had observed children who strung beads across a wide gap in their lower row of teeth to keep their lips from folding inward. They had knocked out four incisors in a crude and painful procedure – although preventing disease was not their primary concern. It was a matter of attractiveness — a rite of passage that occurred between the ages of 10 and 12 during the dry season. Over the next 40 years, the practice of teeth extraction showed no signs of declining in East Africa, in fact it spread from the Sudan southward into Uganda, Kenya and Tanzania. At some point — and here the timeline becomes fuzzy — Ugandans came to believe that the teeth they were extracting were not, in fact, authentic. They called them Ebiino, which means false or nylon teeth. In 1966, a Danish dentist found that the Acholi people, who live near the Sudanese border, were regularly dislodging their infants’ canines with some terrible long-term effects. One 18-year-old boy had a split canine that looked like a pair of pincers in repose. One had a canine shaped like a peg. Another had one that looked like a tooth sprouting from another tooth. Teething, which mark’s a child’s first step towards independence, has long been a source of concern to healers both in Africa and beyond. In 1732 the British physician John Arbuthnot wrote that ‘Above one-tenth part of all children die in teething’. Teething was listed as the cause of 5,016 deaths in England and Wales in the year 1839, and until the beginning of the 20th century, the gum-lance was a staple item in every medical bag in the US and Europe. ‘A very common cause of diseases of the stomach and bowels, and also of convulsions in children, is to be found in the hardening or induration of the gums at the time of teething,’ reads the 1905 Home Encyclopedia of Health, ‘and this blunder of nature’s ought to be promptly remedied… by the use of the lancet.’ In other words, doctors would cut the gums of an infant down to its tiny teeth. Sometimes, they would repeat the procedure week after week. East African tooth extraction, if not a direct descendant of Western gum-lancing, is born of a similar sense of impotence in the face of bodily mysteries and sickness. Medicine in much of rural Africa today is comparable with that of 18th-century London. According to the latest figures from the World Health Organisation, one in seven children in Uganda dies before reaching the age of five, and parents rarely receive accurate diagnoses, let alone treatment, from the overtaxed healthcare system — whether the child has a harmless fever, a bout of diarrhoea, or a deadly infection. ‘False tooth disease’ is considered a new disease in Uganda: it is thought to have spread south when the army of president Idi Amin conquered and terrorised the country in the 1970s. Some locals have said it was because women started eating pork or chicken. Others simply that it came with the war. In the journal Culture, Medicine and Psychiatry in 2000, the Danish anthropologist Hanne Overgaard Mogensen called false teeth ‘an idiom of distress’. ‘There is with false teeth a focus on what you can see, something very concrete, an entity that has to be removed’. To Mogensen, ‘false-tooth disease’ is less an illness than a tangible means of combating the intractable challenges of a life of poverty and war. Once a rite of passage into childhood, extracting teeth has become a means to ‘cure’ sick babies of an imagined ‘disease’ not unlike the way parasites and other infections are seen to be cured by antibiotics and other treatments in Western medical clinics. A sharpened bicycle spoke used to extract teeth. 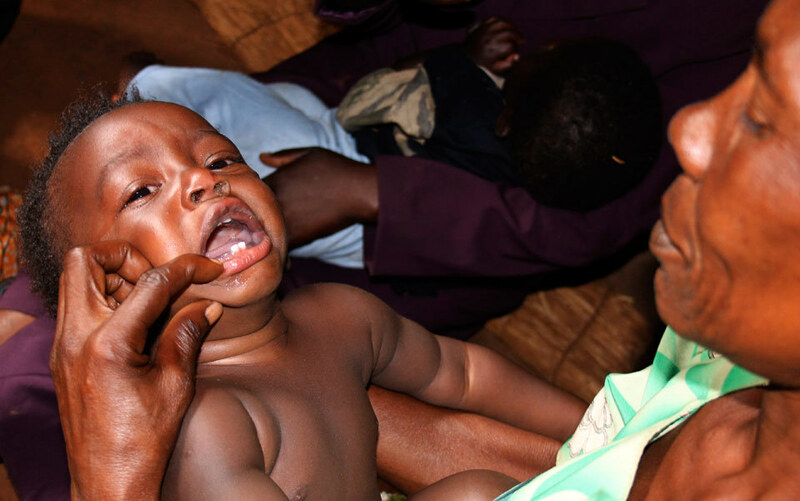 Today, ‘false tooth’ extraction has become a source of deep concern for health workers and NGOs in East Africa. A paediatrician in Uganda told me about a mother arriving in his ward carrying a two-day-old infant with blood pooling in his mouth. The infant received a transfusion and was out the door in a few days, but others have died from infection or blood loss. The British charity Dentaid calls tooth extraction ‘infant oral mutilation’, a charged reference meant to evoke the same humanitarian outrage as female circumcision. One study in the Ntungamo district of western Uganda, funded by the US Agency for International Development, estimated that 45.2 per cent of children suffering from diarrhoea had their ‘false teeth’ extracted, and another study found that more than half of the households surveyed had had a case of childhood ‘false-tooth disease’ in the past five years. 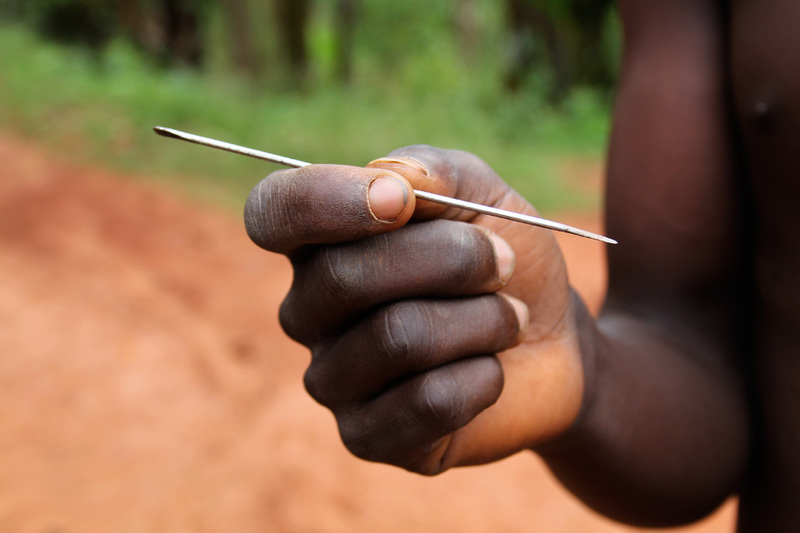 In addition to Sudan and Uganda, ‘false-tooth’ extraction is now practiced in Somalia, Kenya, Ethiopia, and Tanzania, and as far away as Australia, among migrant Sudanese and Somali communities. Across many cultures, magical thinking and medicine have been closely intertwined, and it is not surprising that this is the case in present-day Africa. Here, the causes of one child’s death are often as murky as the reasons for the survival of another, and so the human mind seeks to fill in the gap. Indeed, we know that belief alone can be as powerful as the most sophisticated drugs. Many clinical trials have shown that patients taking a placebo do better than those taking nothing at all. Perhaps a dubious (even dangerous) treatment such as tooth extraction provides some relief — for the mother, if not for the child. ‘The removal of false teeth may seem brutal,’ the anthropologist Mogensen writes, ‘but it is also something that makes the mother keep an eye open as to the development of her child.’ It is one way for a mother to be clear of conscience, should her child die in her arms. There was a time when doctors in the West attributed the great epidemics, such as plague and cholera, to an unhealthy fog, a noxious gas rising up from the putrid waste-choked alleys of London or the marshes outside of Rome. During the cholera outbreak of 1854 in London, which killed more than 600 people, the phycisian John Snow traced the disease to a water pump in Broad Street in Soho that he believed to be contaminated by a nearby cesspit, but his theory was largely rejected at the time. The water appeared clear and clean to the naked eye, while the London air reeked of sewage. Over the next two decades, the miasma theory of disease was a catalyst for much-needed improvements in sanitation. As the prevalence of cholera and typhoid declined, the theory’s supporters felt vindicated. Yet the gains from eliminating miasma, like pulling a tooth, were hardly sufficient. It would take another 25 years before scientists demonstrated that tiny particles invisible to the naked eye — germs — were at the root of disease. Although magical thinking might be less pervasive in the sparkling hospital wards of Europe and the private clinics of New York than inside the healer’s hut, it is still significant. According to a survey on the British Medical Journal website in 2007, only about half of all clinical practices rest upon a solid evidence base. Plenty of doctors would rather prescribe a useless antibiotic for an earache than do nothing at all (and many parents pressure them to do so). Question them, and they will complain that their authority is being stripped away. They are second-guessed by Google, second-fiddle to the wonder-drug makers, and second-class in the eyes of the actuaries. More than anything, these doctors find themselves crushed under a sea of data, data that can conflict with their most cherished rituals and ideas. The annual checkup, argued Lasse T Krogsbøll and colleagues in the British Medical Journal last year, does no good and can even do harm. Ditto prostate screening, according to the final recommendations of the US preventive services task force in 2012. Bad cholesterol is not so bad after all, said researchers at Texas A&M University in 2011. Maurice Iwu, the esteemed Nigerian ethnopharmacologist and author of the Handbook of African Medicinal Plants (1993), has railed against Europeans who try to modernise African medicine by preserving its rational elements and dispensing with the magical ones. ‘The use of herbs in combination with the power of the human spirit, assistance from the gods, and other unseen forces constitutes a fundamental aspect of African ethnomedicine,’ he has written. Iwu and other proponents of traditional and alternative medicine often frame it as a cultural issue, suggesting that science, which they associate exclusively with the West, cannot possibly cast judgment outside that realm. Yet this prickly, defensive point of view serves only to marginalise further the positive components of traditional medicine, and make it more likely that the contributions of indigenous Africans to society will be all but forgotten. Embracing African medicine means not romanticising it. Science should be the great leveller: it doesn’t matter where brilliant ideas come from, so long as they work. Both Western doctors and African healers will always be tempted to be a little too optimistic about their own healing abilities, which is why it is so important that we use all of our best empirical tools to keep their delusions in check. After departing Evelyn’s house that morning, we crossed the valley in search of the tooth extractor Nahayo. We had to get out of the car and walk a few hundred metres up a trail to get to Nahayo’s house and, when we arrived, the door was closed and locked. No one was around. Nahayo’s son arrived from the fields and told us that this mother was at a funeral in a neighbouring village, and he would guide us there. His teeth appeared intact, but as he scrubbed his feet and put on a clean shirt, he showed us a series of circular scars running up his belly and across his back like perforations. It’s another traditional treatment for what the locals call Oburo or ‘millet disease’ possibly because the fat globules, which are cut out of the skin with the corner of a razor blade, resemble that grain. Each time the boy was cut, he went to the health clinic, received an injection of penicillin, and was better in a few days. One day, he said, he too wants to learn the secret of false-tooth and millet extraction. Overconfidence is a sin that doctors of all stripes can fall into. It took 300 years before physicians in the West began to have their own doubts about the merits of gum-lancing. The practice was abandoned some time around the Seligmans’ early 20th-century journey up the Nile, but myths about teething persist worldwide to this day. A 2002 article in the British Dental Journal called teething a ‘wastebasket diagnosis’ that was proffered when no other cause can be found. A variety of studies have found that teething infants are irritable and, perhaps, a little feverish, but the data does not support a link with more serious conditions. Nevertheless, in 1990 a postal survey of 215 paediatricians in Florida found that 35 per cent of them believed there was a correlation between teething and diarrhoea. False-tooth disease is also a wastebasket diagnosis. Whatever ritualistic role tooth extraction once played in this culture, it is now only imposing a cost on the lives of children and their parents. I knew that, in order to eliminate it, a better, more effective healthcare system would need to rise up in its place. Some doctors and development experts working in Africa believe that this better system needs to start at the village level by educating the healers and traditional birth attendants whom people trust. Before we took leave of Nahayo, the health worker I travelled with asked the healer if she was willing to participate in a training programme to reduce child mortality in the area. They might teach Nahayo to recognise the symptoms of serious childhood diseases, such as tuberculosis and malaria, in order to refer children to the appropriate clinic. I was sceptical. Tooth extraction represented Nahayo’s livelihood and she wouldn’t be paid to refer patients, only to remove their teeth. But Nahayo nodded. She clearly took her role as a healer seriously, and we wanted to believe that reason would win out in the end. It just might take a while.